Welcome to Sparrow's Kooma page. 1570=€1.75 per minute from an Eircom landline. Other networks & mobiles may vary. 18+. Calls recorded. Bill payer’s permission. For entertainment purposes only. Helpdesk (0818) 286 168. I am a psychic mystic and have learned a lot with the Rosicrucian order, such as tarot, mediumship, aura reading and empathy. Focussing on a person own psychic and aura energy I can help others with life's problems, like relationship, career and well being. People feel much lighter and happier after a reading with me, I can guide you on how to release pent up feeling and negativity. I began giving readings to family and friends and found they were precise and it guided then a lot. Kooma gives me the chance to help a wider range of people with there problems. The spirits appear in the clients aura, sometime introduced by my own guides. I am able to see a kind of x-ray of a person pinpoint area of pain in aura and through aura energy I will send healing. It is important to understand that we are spirits having a physical experience and by doing so raise our vibration to eights. Sparrow you were spot on. I am so grateful. She doesn't go off on spiritual, just said how it was. Sparrow and I have connected upon a deep spiritual level, which is helping me through a difficult siutation. She is inciteful and brings empathetic clarity to help with the future. Sparrow has the ability to see quickly, the true nature of what is happening and unravel the mystery. He calming nature, is honest and straight to the point. I would highly recommed a reading with Sparrow, you will not be disappointed by her answers, even if it is not what you are expecting to hear. Thank you. Had a lovely reading with this lady this evening. Picked up my situation very quickly and predictions in line with majority of other readers on this site. 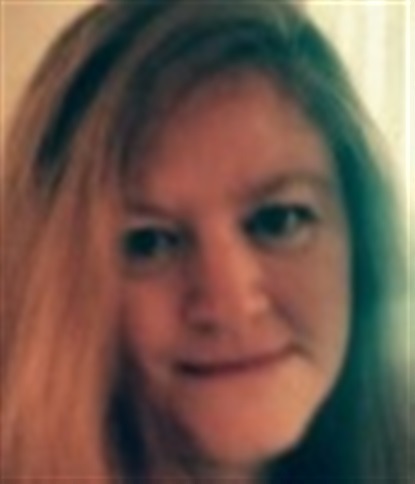 Give Sparrow a call you won't be disappointed as she gives a good reading with a lovely warm manner. Will call back soon. Didn't obtain much info regarding my question, long pauses and I felt after 7 minutes this lady was done and dusted and wanted to end the reading. Keep repeating same statements round and round, keeping silent therebetween. Sorry not for me. Request a Call Back now on 1800 944 592. 1570=€1.75 per min from an Eircom landline. Other networks & mobiles may vary. 18+. Calls recorded. Bill payer’s permission. For entertainment purposes only. Helpdesk (0818) 286 168. Maurice will call you straight back to save you the hassle of phoning in and choosing them via the menus. The charges for this service are the same as if you call the freephone number. Calls recorded. For entertainment purposes only. 18+. Helpdesk (0818) 286 168. Faith G will call you straight back to save you the hassle of phoning in and choosing them via the menus. The charges for this service are the same as if you call the freephone number. Logan will call you straight back to save you the hassle of phoning in and choosing them via the menus. The charges for this service are the same as if you call the freephone number. 1570 = €1.75 per minute from an Eircom landline. Other networks & mobiles may vary. 18+. Calls recorded. Bill payer's permission. Helpdesk: (0818) 286 168 (7am-11pm daily).